All trees require food and nutrients. In a natural forest environment when leaves fall and decompose they provide natural food and nutrients to the tree. Urban trees have their leaves raked putting them at risk of being under-fertilized. Raking away leaves, spreading pine straw and mulch, growing grass, landscape plants, and ground covers all rob nutrients from the tree; supplementing the food supply with a deep root fertilization is critical in urban trees. 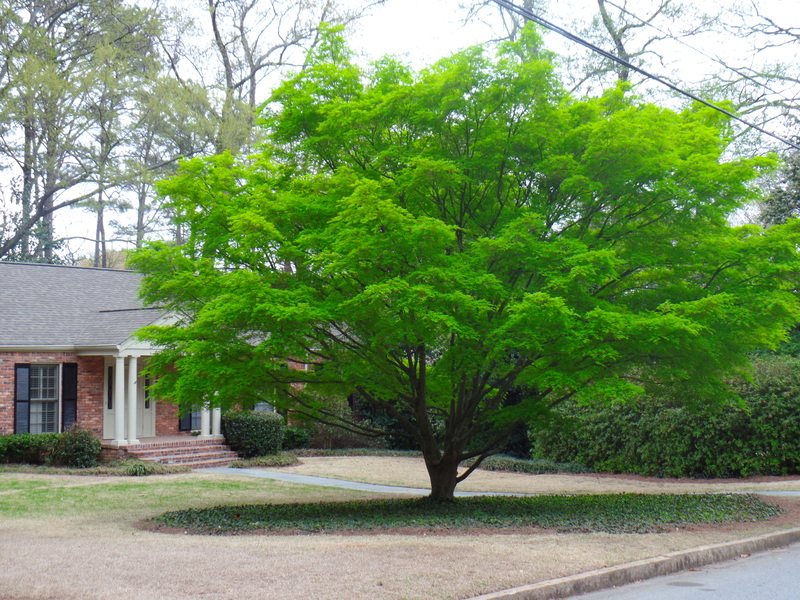 When do your trees require fertilization? If your trees have a slow or low rate of growth during their growing season it may be in need of more nutrients. Smaller than usual foliage and discolored foliage are also signs of trees in need of nutrients. A healthy and fertilized tree can also fight off disease and insect attack lowering your risk of tree problems. One of the best ways to fertilize is to use a deep root fertilization injected directly into the soil. Make sure to cover the whole root zone of the tree which can extend past the reach of the branches. A certified arborist can help you find the right fertilizer for your trees.